Huddled, a sodden mass of wet bodies, we watched the rain come down in sheets. 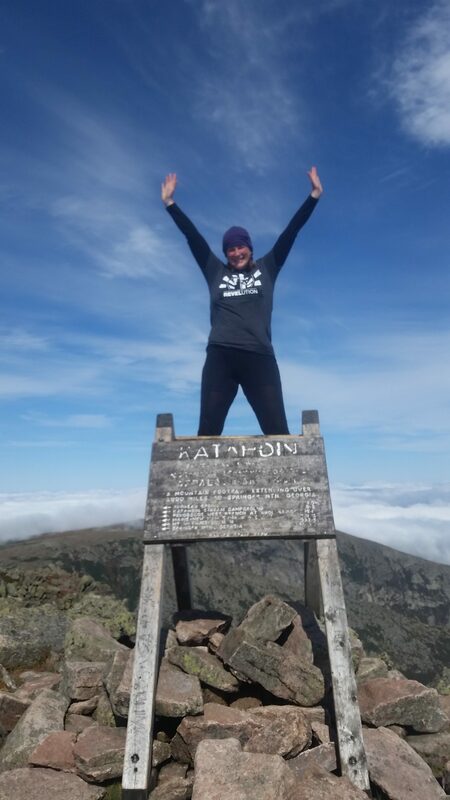 We’d just covered 10-plus miles of trail dashing through puddles and downpour with a single goal in mind, to crush the last miles before our final day tackling Katahdin. We were in limbo. There was talk the rangers wouldn’t allow people up Katahdin if the rain persisted. Having walked hundreds upon hundreds of miles to arrive here these were not words we wanted to hear. The next day we gathered at the foot of Katahdin, staring up the trail. Our emotions running high, mimicking the waters, turbulent and powerful. Each one of us following our own path yet walking in the same footprints of those before us. It is difficult to leave the trail and re-enter society as we’ve always known it because it’s no longer what we’ve known. We’ve changed and our expectations for what we want from the world surrounding us have changed. There are no words to put to life after the trail. I can try and try again to explain to people around me that it’s different after the trail: The peace that surrounds you daily, the single purpose you’ve been pushing forward for, the freedom from a schedule, the constant movement, the simplicity, the commonality with others, and so much more are all gone, left somewhere behind you with all the white blazes. We refer to this period as post-trail depression. I think many of us fear it before ever leaving the trail. On trail it’s openly talked about within tramilies, how people plan on tackling this new unknown. Some plan to bury themselves back in their work, others are already planning their next big adventure, and some don’t think it will affect them. It took me over a year to realize that by putting myself back in a place where I worked a nine-to-five job and was trying to mingle with individuals who couldn’t recognize what I had gone through was not working. These folks had never taken on a journey similar to mine. I’m sure they must have gotten tired of the phrase “when I was on trail…” I wasn’t putting myself in the right place to be mentally content; I was floundering. Every couple of weeks I’d drive two hours up into the White Mountains to surround myself with nature. I didn’t need to go on some epic hike or camp out in the wilderness; I just needed to stop and be present in that moment. I found this was a time for me to mend, somehow; coming back from the trail I’d gotten lost,and this was where I needed to be to find myself once more. 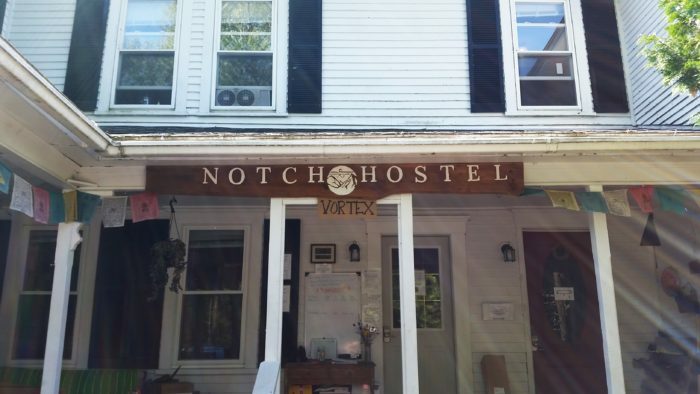 The Notch Hostel became my sanctuary. I found the outdoor community I was missing. The instant bond of being in the same place with a common goal. This was where I started to mend. It seems a never-ending process, mending that is. I often find myself lost in memories of my time on trail, the humor, exhaustion, joy, and contentment, the freedom from social boundaries and expectations. Before I’d even started working at the Notch Hostel I was brainstorming. How do I use my own experiences with post-trail depression and help others? As I settled in at the Notch and connected with current thru-hikers I realized how much they were helping me to heal. I wanted to create a space where people could gather and have the opportunity to be surrounded by folks who understood their experience without needing to say a single word. With that concept in mind we are hosting our first Thru-Hiker Shindig. We are opening the hostel for a single weekend, April 26-29, to past thru-hikers, LASHERs, and flip-floppers to come and celebrate the trail. We will be running hiker Olympics, which will include a cathole relay, bear bag toss, and more. We look forward to providing taco night (in honor of our Taco Tuesdays), we will be hosting a couple of guest speakers (including The Trek’s very own Maggie “Chuckles” Wallace! ), presenting a photo slideshow, and trail trivia. The Notch Hostel saved me and helped me redefine my post-trail expectations and work through my post-trail depression. I hope that in some way it can provide the same opportunities to others. To learn more about this unique opportunity email me at [email protected] or check out our Facebook event page. If you are looking for additional thoughts regarding post-trail depression here is another blog I wrote. Hello! 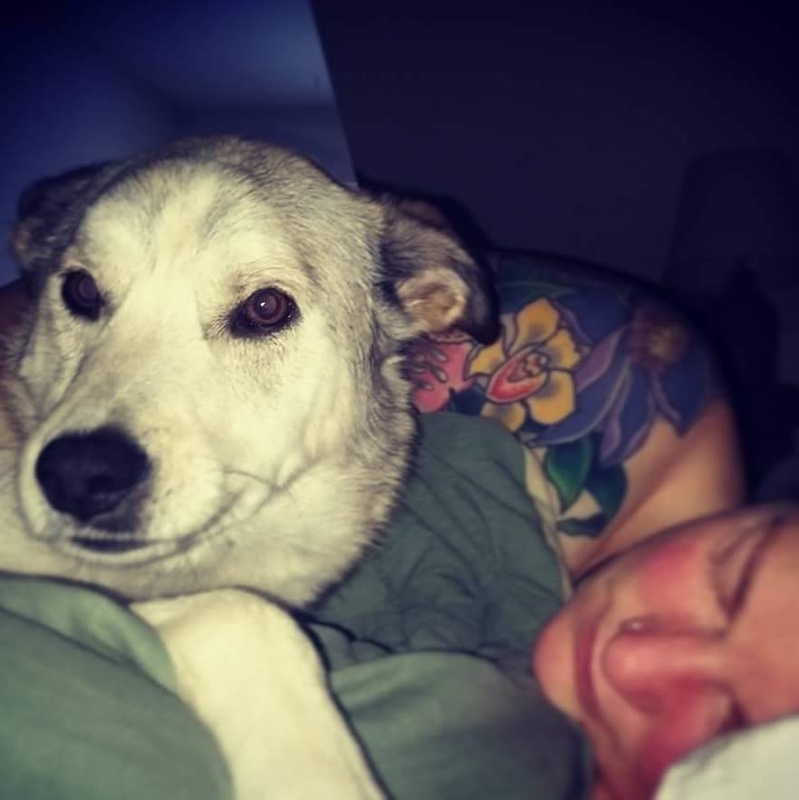 I completed my thru hike in 2015 with my dog, No Shame. We had an amazing journey full of ups and downs, seems that is the nature of the AT. Throughout our hike we shared our stories and now off trail I am still embedded in trail life. Currently I am planning my next long distance hike for No Shame and I.